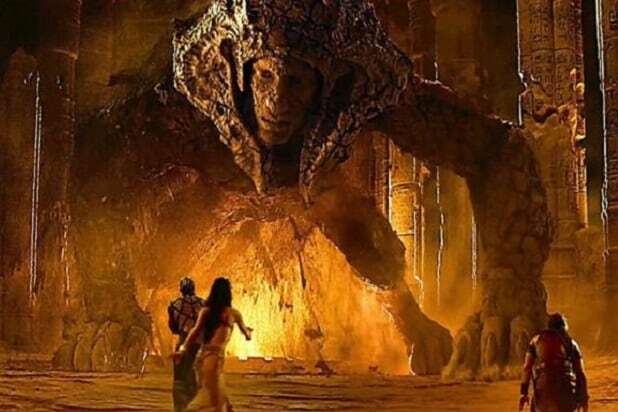 ‘Gods of Egypt’ on Track for $15 Million Opening – Can It Beat the Odds and Launch a Franchise? Will “Gods of Egypt,” the $140 million sword-and-sandals epic from Aussie director Alex Proyas, connect at the box office and become a franchise Lionsgate can use to help replace “The Hunger Games”? Or will the pyrotechnics-filled fantasy action epic become a pricey pyramid power play that didn’t pan out? When your production budget is in triple-figure millions and you’ve spent another $30 million or so on marketing, you’d typically like to see more than mid-teen millions for your film’s opening. Maybe something along the lines of the $61 million that another “Clash of the Titans” delivered in 2010, on its way to nearly half a billion dollars in global grosses for Warner Bros.
That’s a long shot, judging by the tracking. But long shots bring greater returns than favorites when they come in, and “Gods of Egypt” fills the first part of that equation. Director Proyas has a significant following, based on his earlier efforts on “I, Robot” and the cult hit “Dark City,” along with Brandon Lee’s “The Crow.” And the largely European (and white, but we’ll get to that) ensemble includes several familiar, if not marquee, names. But a large-scale desert action epic with hordes of extras and CGI and special effects galore appeared to be a risky venture. “Gods of Egypt” is one of the more lavish productions involving a movie without men in tights, dinosaurs or a spaceship undertaken recently. The plot follows follows mortal hero Bek (Brenton Thwaites) on his journey to save the world and rescue his true love. He enlists the help of the powerful god Horus (Nikolaj Coster-Waldau) in an unlikely alliance against Set (Gerard Butler), the merciless god of darkness, who has plunged the empire into chaos and conflict. Also in the cast are Elodie Young as Hathor, Chadwick Boseman as Thoth and Geoffrey Rush as Ra. Matt Sazama and Burk Sharpless wrote the screenplay. Reaction to the trailers and marketing has been mixed at best for the fantasy action epic. It got off on the wrong foot in November, when fans reacting to promo posters from the film blew up social media to bash Proyas and Lionsgate for using a nearly all-white cast in portraying Egyptians, who history tells us were black. The director and studio took the unusual step of apologizing and promising to do better. It’s hard to tell where the carping over casting ends and nitpicking the film begins, but there’s some negativity out there. The trailers are exciting and the effects are eye-catching, but some online commenters have taken issue with what they call the film’s “old-fashioned” — fans call it classic — look and feel of the film. “Clash of the Titans” did just okay in 2010, but two 2014 “Hercules” movies — one starring Dwayne Johnson, another with Kellen Lutz — did not, and 2010’s “Prince of Persia” (with Jake Gyllenhaal) was a $200 million bust for Disney. Proyas is active on Facebook and recently took on some of the film’s detractors. “I have seen the movie play with several audiences and people love it. For those who are too “cool” or too pc, and want to damn this film based on some trailers or posters or unfinished VFX shots I say you will miss out on a fun, wild ride,” he said. Lionsgate wasn’t talking Thursday, but CEO Jon Feltheimer has said that his production costs are capped at $10 million. That’s after multiple overseas licensing deals and a whopping tax credit paid by the Australian government to have the film shot there, which covered roughly 46 percent of the budget. That tax credit is a financial game-changer, and means that the studio can see a profit if the film can in time ring up $40 million-$50 million in its domestic run, a possibility with an opening in the mid-teen millions. The Vin Diesel action fantasy “The Last Witch Hunter” disappointed domestically and topped out with $27 million for Lionsgate last fall, but took in $113 million from abroad. 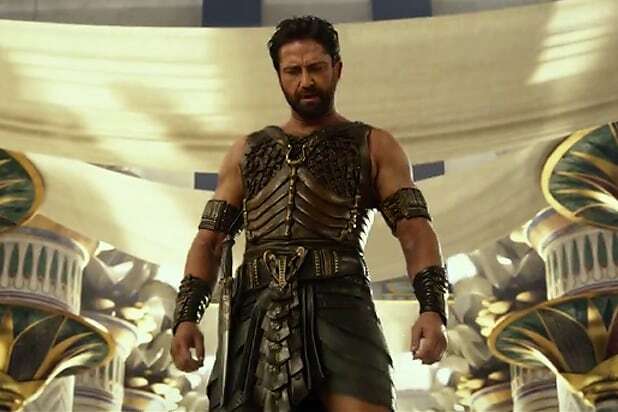 Should “Gods of Egypt” follow a similar path, and maybe break out in some overseas markets to generate overages, the studio could wind up solidly in the black. Movies have beaten bad buzz before — Brad Pitt‘s “World War Z” debuted to $66 million in 2013 after being savaged by the media over cost overruns and major reshoots — so we’ll see. Its social-media profile is significant, but how much of that is negative is tougher to gauge.